The stories of the past that circulate in any country are always contested - how it came to be; which milestones to celebrate; which tragedies to mourn; which figures to venerate and which to delete. In postcolonial spaces, these contestations are often about who is indigenous, who is autochthonous, and who is responsible for the ‘modernity’ of the present. In South Africa, for the better part of the last century, the official stories circulated by the apartheid state institutions defied the material evidence of history in order to serve the ideological project of white supremacy. The contestation of official versions of how South Africa came to be is drawn not only from liberation movements, freedom fighters and Black nationalists. Revisionist historians in and of South Africa also questioned the legitimacy of the state’s narrative. Many white South Africans grew up with the official apartheid narrative of the past, which included the aggrandised version of Jan van Riebeeck’s role and mission. Later writers often pointed out that permanent colonial settlement was not the Dutch East India Company’s original mission; the establishment of a halfway station, a seventeenth century equivalent of a ‘drive-through’ refreshment station for sailors, was all that was originally envisaged, and it was only subsequent to labour disputes at the then Cape of Good Hope that occupation spread. The belief that southern Africa was empty of human inhabitants also served the Afrikaner nationalist narrative of being ‘first occupants’, in the face of both archaeological and historical evidence. As early as 1979, Richard Elphick and VC Malherbe indicated in the opening sentence of their chapter in “The Shaping of South African Society 1652-1820”, that “Jan van Riebeeck did not found the Cape Colony in an empty land”. The book, edited by Elphick and Hermann Giliomee, was priced in 1980 at R15 in hardcover. Thirty-four years later, some public figures and those who support them on social media, may need to reread the standard history textbooks that chose not to serve the apartheid state’s ideological project. The past is indeed, as the novelist LP Hartley said, a foreign country; they do things differently there. The longer the passing of time, the more likely that past events and conflicts will be re-invented by our remembrances in the trappings of costume drama. While it may be difficult to fully and honestly confront and comprehend the distant past, our technology has made it easier to correct inaccurate memories about recent history. Sometimes the survivors of that history are only too keen to help us out. The last apartheid president of the Republic of South Africa, FW de Klerk, is a case in point. As the City of Cape Town contemplates renaming part of a major road for him, the meaning of the past and its symbols in the present has once again come under scrutiny. The fracas which continues reminds one of South African writer Ivan Vladislavic’s phrase, “propaganda by monuments”. 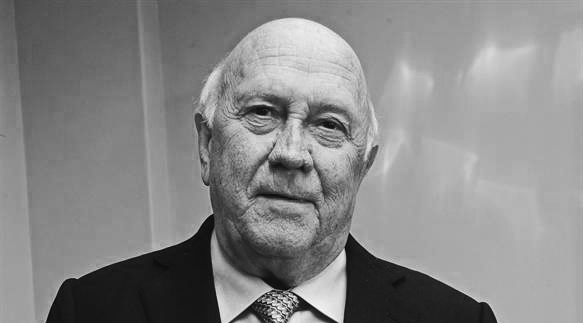 De Klerk has always been a complex figure, not easily assimilated into the post-apartheid state’s narrative of apartheid, the transition into the post-apartheid, and the post-apartheid period itself. The man’s public pronouncements have hardly helped his case. While many choose to remember him fondly – and he sometimes assists them in this by doing so himself – as Mandela’s equal, as in that photograph of them holding their hand aloft or receiving the Nobel Peace Prize together, the material substance of those times require a rather different evaluation. Nobel Laureate, JM Coetzee, in his obituary for Mandela in the “The New York Review of Books”, wrote that “He was, and by the time of his death was universally held to be, a great man; he may well be the last of the great men, as the concept of greatness retires into the historical shadows”. The man Mandela shared his Nobel Prize with, Coetzee described thus: “FW de Klerk, a man of much smaller moral stature, yet also, in his way, a contributor to the liberation of South Africa”. In the debate about how to symbolise and remember the figures of the past, some, in their vocal support for including de Klerk, seem unable to remember just how contradictory his various actions were, and how difficult it is to draw a moral (never mind an intellectual) equivalence between Mandela and de Klerk. This is not about the hagiographic view of Mandela; this is rather dependent on a more honest appraisal of FW de Klerk himself. 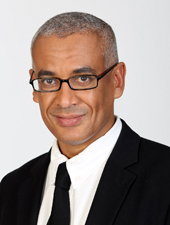 As recently as May 2012, in an interview with CNN’s Christiane Amanpour, he was at pains to explain his evaluation of apartheid South Africa. The historical errors in his review of the homelands, which borders on reinvention - he believes Black people had full franchise in them and access to fair quality educational institutions granted by the apartheid government - are revealing. His insistence that as a concept apartheid, by then declared and referred to as a crime against humanity, was not ‘morally repugnant’ (Amanpour’s phrasing) cannot but come across as smugly repellent by anyone who survived apartheid. He only concedes that the specific South African ‘experiment’ in ethno-nationalist fascism failed because of a failure to distribute resources equitable. Just as many misremember Jan van Riebeeck as a ‘founding father’ and the southern African space as ‘uninhabited’ in 1652, so de Klerk seems to want to reimagine apartheid in its dehumanising ideals and its material horrors as a well-intentioned programme gone wrong. The City of Cape Town will probably go ahead and name part of Table Bay Boulevard after FW de Klerk. The city’s mayor, former Pan Africanist Congress member, now Democratic Alliance member, Patricia de Lille, has asked that South Africans accept the name change as part of a process of reconciliation. I wonder though, whether a similar request for ‘reconciliatory’ gestures would have been palatable, never mind acceptable, in Germany in 1965. Would German Jews have been asked to reconcile themselves to the past by allowing the naming of some public space after someone who said things about the Nazi period akin to the remarks Mr de Klerk has made as recently as 2012 to an international audience about apartheid South Africa? I think not. The very idea of comparisons between atrocities in the past is deeply discomfiting; this is not an attempt to equate two different historical events. But before we forget, it is in the wake of that execrable horror in Europe that Mr de Klerk’s forebears established their white supremacist, racist apartheid dream that created the nightmare many of us had to live and are still in recovery from. The call from the mayor of Cape Town for accommodating the repugnant idea of calling a public space after a man who views apartheid in the way de Klerk does in that 2012 interview, indicates an inverted Damascene journey away from enlightenment. Perhaps the consolation critics will have, should the renaming go through, is that the part of the motorway that is being renamed was built as an apartheid vanity project and has at least two sections unfinished and unfinishable. Maybe FW de Klerk Boulevard will, in perpetuity, symbolise at the bottom end of the ‘Mother City’ the unfinished and unfinishable business of the ugly past now so actively mis-remembered by some. ” The very idea of comparisons between atrocities in the past is deeply discomfiting” You just did it in your article !